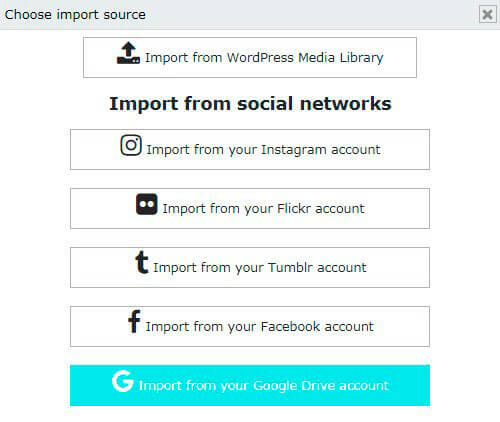 With Supsystic Slider plugin you will be able to upload your images from Google Drive account. Click on “Add Images” button. Next several steps will be your google authorization. After successful authorization you will be able to choose all your images to slider. If you want to import not all of your images – just click on the checkbox to unselect some of them. To finish the import – click on the Import images button.